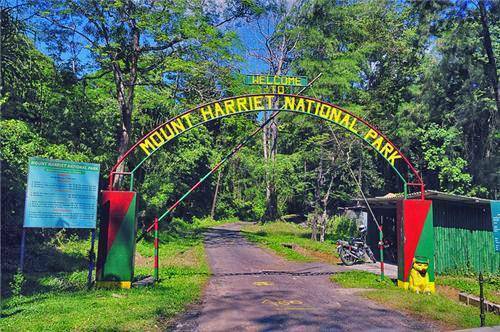 Mount Harriet is the highest peak in Andaman and Nicobar Island and was named after a British Soldier’s wife Harriet Tytler. Mrs. Tytler’s work of documentation of Delhi’s Monuments and 1857’s revolt are remarkable work. Mr. Tytler, who was a naturalist and photographer, was appointed by British Government to Supervisor the Convict Settlement of the Island. The National park was established on this peak covering the area of 46.62 square kilometer. You can spot the salt water crocodile, turtles, robber crab and wild pigs in this national park.